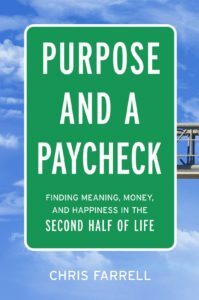 purpose and a paycheck Archives - Joelle Delbourgo Associates, Inc.
Chris Farrell is economics editor of Marketplace Money, a nationally syndicated one-hour weekly personal finance show produced by American Public Media. 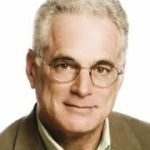 Chris is also economics correspondent for Marketplace, the largest business program in broadcasting and chief economics correspondent for American RadioWorks, the largest producer of long-form documentaries in public radio. He is also contributing economics editor at Business Week magazine. He was host and executive editor of public television’s Right on the Money. He is the author of several books, including Purpose and a Paycheck: Finding Meaning, Money & Happiness in the Second Half of Life (Harper Leadership, Feb 2019), Unretirement: How Baby Boomers are Changing The Meaning of Work, Community and the Good life (Bloomsbury, 2015 and in paperback, January 2016), also available in audio from Audible, and The New Frugality . Chris is a graduate of Stanford and the London School of Economics. Farrell says: “I’ve spent much of my professional life reporting and writing on economics and helping people make the most of their money. I’m currently senior economics contributor at Marketplace, American Public Media’s nationally syndicated public radio business and personal finance programs. I’m also economics commentator for Minnesota Public Radio. I write regular columns on economics and public policy for Bloomberg Businessweek and on personal finance for the Minneapolis Star Tribune. I’ve written for a number of media outlets, including Kiplinger’s, Next Avenue, Yahoo, Pioneer Press, Frontline, Street.com, and Investment Advisor. I was economics correspondent for American Public Media’s documentary unit, American Radio Works. Among the documentaries I worked on were After the Projects, Pueblo USA, and Japan’s Pop Power. I was host and executive editor of Right on the Money, a nationally syndicated personal finance series produced for 5 years by Twin Cities Public Television.